Our carded and heat bonded waddings are produced by carding and heat bonding of synthetic and/or natural fibres. This treatment imparts a high level of elasticity and resilience to this type of wadding, making for superior performance, even with low weights. 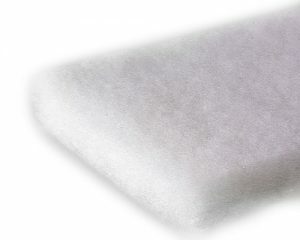 These waddings are used in the furniture industry, most notably in mattress production. The felt is pale coloured and made primarily from synthetic fibres. This imparts outstanding strength and elasticity to the product, making it the ideal material for cushioning springs in mattress production. 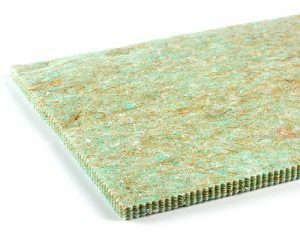 Our felts also offer significant sound insulation capacity in impact noise control applications.